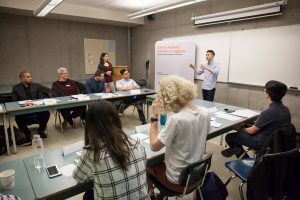 Langara Toastmasters Club is located at Langara College in Vancouver, BC, Canada. Our fun and friendly environment welcomes everyone who wants to develop their communication and leadership skills and reach personal goals. Communication is one of the most important abilities in today’s world. Being able to express yourself in any situation will help you achieve success. In our weekly meetings, there are several opportunities to speak. We practice giving prepared and impromptu speeches, providing constructive feedback, conducting meetings, and a lot more! Our members are dedicated to becoming better speakers and leaders. They are students, alumni, employees, and members of the local community, ranging from experienced presenters to people with English as their second language. Visit our club and improve your skills! We meet every Tuesday, at 5:00-6:00 pm, at Langara College. We ask guests to arrive 10 minutes earlier so we can introduce the meeting agenda. Toastmasters is a place where you develop personally and professionally. Whether you’re an executive or a business professional, a college student or a retiree, you will build skills and improve yourself. You’ll open up a world of new possibilities: giving better work presentations, leading meetings more confidently, and speaking better spontaneously. Regular members’ dues are $60 every six months (April and October), in addition to a one-time entrance fee of $25 for new members. 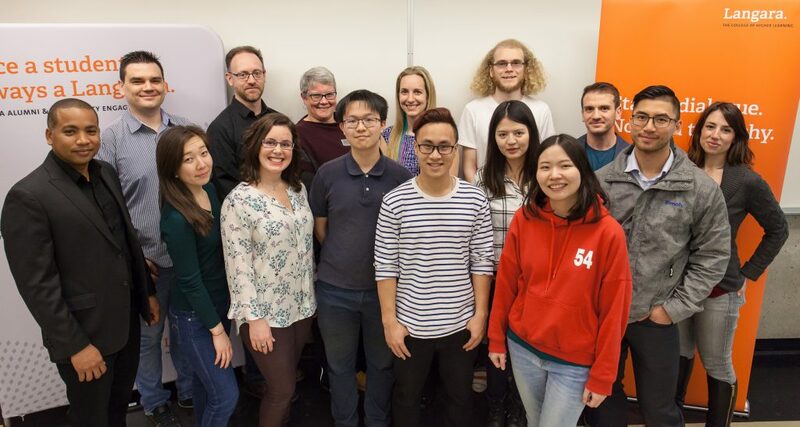 To ensure that cost is not a barrier, Alumni and Community Engagement, Co-operative Education, International Education, People Services, and Student Engagement have come together to sponsor the Langara Toastmasters Club. The sponsorship provides subsidies for students, employees, and alumni. Join us at a meeting and try it for yourself, no commitment needed!